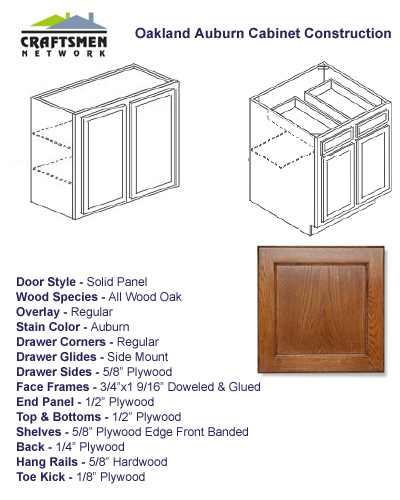 Cabinets come ready to assemble to save you on shipping costs. Easy to follow installation instructions are included in boxes. Only a screwdriver is needed to complete assembly. 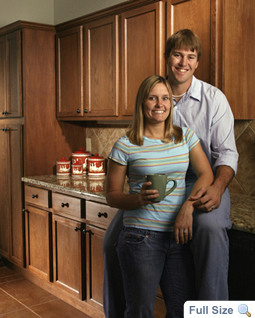 Grace the heart of your homes with that rich warmth and excellent value that only Oakland Gold Cabinets can afford. Maximize the functionality in the area through integrating strength that oak provides making your cabinetry last for years and years. Such choice offers the amazing durability to withstand the tough conditions of the kitchen without sacrificing style with a finish that brings out the wood's unparalleled natural beauty. Being a hub that serves many functions from basic food preparation and cooking extending to entertaining guests and regularly accommodating the family, your kitchen would surely benefit from the hard-wearing surface as well as exquisite appeal of this set of cabinetry. Oak cabinets are popular and are most admired for the unique course-textured grain that they posses, made more dramatic by the rich variations of natural knots and other such patterns flecked with mineral deposits that only nature can paint to perfection. The unique lustrous stain of Oakland Gold Cabinets accentuates this raw beauty. With the fusion of durability and appeal, one might expect premium price for Oakland Gold Cabinets. But here at Craftsmen Network we offer excellent quality at a reasonably affordable price. With our unyielding dedication to customer satisfaction, you are sure to get the best value for your money by choosing us as your cabinet supplier. 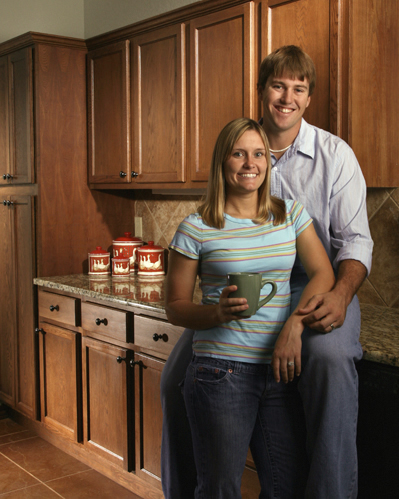 Craftsmen Network offers Oakland Gold Cabinets in various specifications to answer to the different kitchen functions and needs of different homeowners.